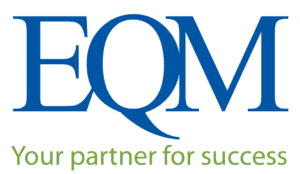 EQM Completes Restoration of Furnace Creek - Environmental Quality Management, Inc. This summer, EQM completed the excavation, backfill, and restoration of Furnace Creek at the Black Butte Mine site. The Black Butte Mine (BBM) is a former mercury mine located in southern Lane County, Oregon in the Coast Fork Willamette River basin, approximately ten miles south of Cottage Grove, Oregon. The primary features of the site included: mine waste piles consisting of waste rock and mill tailings, a former mill structure containing a rotary kiln, mercury condenser, and ore storage/crushing equipment (New Furnace Area), an additional mill and furnace area (Old Ore Furnace Area), several dilapidated buildings, a system of unimproved roads, and mine adits. The removal action was intended primarily to reduce the off-site migration of mercury from mill tailings to adjacent creeks (Dennis Creek and Furnace Creek) and downstream waterways. EQM mobilized a crew and equipment to the site and began excavation of Furnace Creek on May 28, 2018. During this period, approximately 750 feet of soil/sediment from Furnace Creek was excavated and placed into the on-site repository. In addition, a borrow source area was cleared of vegetation in preparation to remove clean material for the restoration of Furnace Creek. At the end of June, EQM completed the excavation of Furnace Creek having excavated over 12,000 cubic yards of mercury- and arsenic-contaminated tailings. Restoration of Furnace Creek began on July 9th and involved backfilling the over-excavated channel to original grade. After backfilling was complete, a new stream channel was constructed for Furnace Creek along with restoration of the steep slopes of a ravine. Many engineered rock waterfall features had to be constructed in the stream channel to prevent erosion that would be caused by the steep grade of the stream. After the restoration of the Furnace Creek was completed, restoration of the borrow area was started which included regrading steep slopes; installing a rock stream channel for a small seasonal drainage; grading the remaining topsoil over the disturbed area; placing logs, wood chips, and slash material for erosion control; and hydroseeding the area with a native seed mix. After all the material was placed into the on-site repository, it was graded to a 3 to 1 slope and capped with clean material. A ditch was excavated around the repository to collect stormwater runoff in a settling pond and a small creek was also diverted around the repository. Contaminated logs and stumps were placed on top of the repository for erosion control. Finally, the old furnace area (where mercury ore was processed) was capped with clean fill and hydroseeded to prevent erosion and potential migration of the mercury and arsenic. Using a highly experienced field crew, EQM was able to complete the project well within the dry season and substantially under budget.